Longtime Knife Rights friend Vermont Representative Patrick Brennan has filed a Knife Law Preemption bill, H.49. The bill would simply add “knives” to the existing Vermont firearms preemption statute. Rep. Brennan along with Rep. Seth Chase have also introduced H.124, which would repeal Vermont’s ban on switchblade knives with a blade length 3 inches or more. Switchblades with a blade 3 inches or more in length are the only knives outlawed in Vermont. 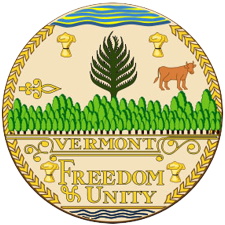 Vermont was the first state in the nation to do away with concealed carry permits by passing Constitutional (Permitless) Carry. So, you can carry any legal firearm concealed and you can carry any knife open or concealed except a switchblade with a blade 3 inches or longer. That’s the only knife not allowed to even posses. Switchblades under 3 inches are perfectly legal. It’s time to get rid of this archaic and irrational knife ban. Knife Rights will monitor this legislation and let you know when need you to act to support these bills.